PHEX Plumbing & Heating Exhibition, now in its 19th year will continue to bring manufacturers and installers together during 2013. 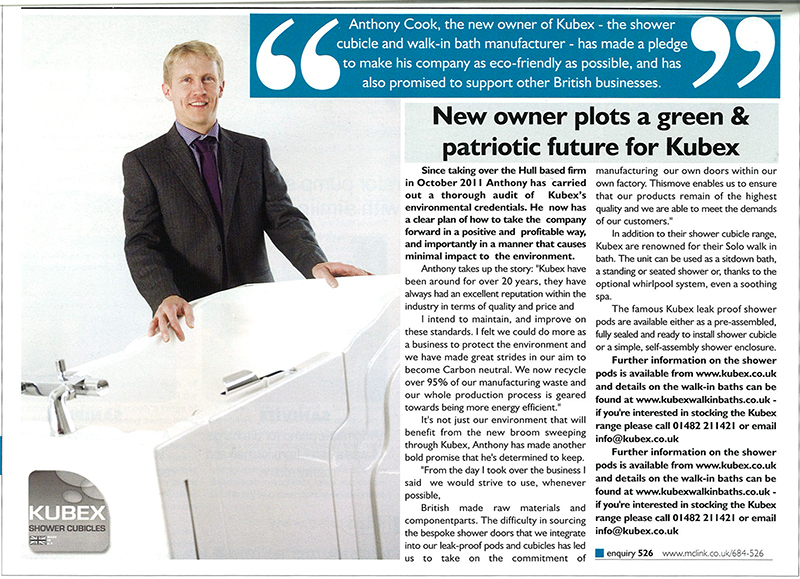 This presents an ideal opportunity for Kubex to launch their NEW Eclipse Range of shower pods. 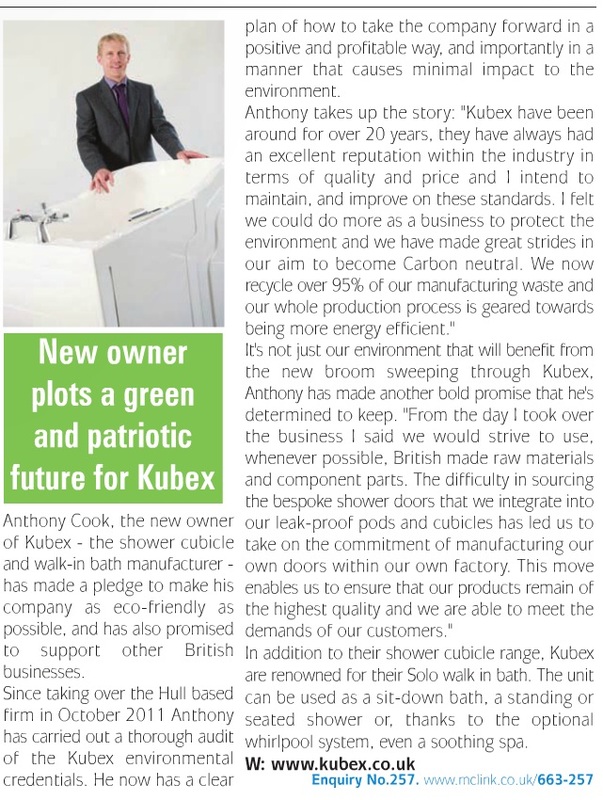 The NEW GRP Pod will expand the existing Kubex one–piece and flat pack shower ranges….. to find out more visit Kubex come see us on stand 4 at Silverstone PHEX Exhibition on 21st May 2013. For more information prior to the exhibition please contact the ‘Kubex’ team on: 01482 211421 or email: info@kubex.co.uk. James Burling joined Kubex in July 2012 after completing A Levels in IT and Business Studies at South Holderness School Technology College. James progressed quickly through his apprenticeship completing the NVQ qualification two months early. He joins the Kubex team full time as Sales Co-ordinator and will be responsible for assisting and supporting the sales, marketing, logistics and manufacturing departments. We would like to take this opportunity to thank James for all his hard work so far and welcome him full time to the team. Are you missing sales by not retailing The Solo? Designed and manufactured in the UK to the highest standards and from the finest materials the Solo can be used as a sit-down bath, a standing or seated shower or a soothing spa. Available in white or pergamon, The Solo arrives ready to install and offers the best value walk in bath in the uk. Increase your sales by also stocking the Hydrotherapy Spa System. We are closing for a Festive break from Friday the 21st at 2pm and will reopen on the 7th of January 2013. Orders may still be placed via email for dispatch week commencing 07/01/13. Thank you for your loyal business during 2012, we’ve made some positive changes to the business during the past 12 months which include changing premises, investing in product development, manufacturing all our products at our factory in East Yorkshire, recruiting and expanding our sales team and we’ve continued to deliver on our Green Promise. We would like to wish you all a very Merry Christmas and a Happy, Healthy and Prosperous New Year.